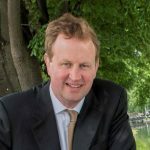 Jim O'Callaghan is a senior counsel, and TD for Dublin Bay South. He was key to the negotiations between Fine Gael and Fianna Fáil that led to the formation of the current governmnet. This is the text of the confidence and supply agreement between Fianna Fáil and Fine Gael. Information is here about the Lib-Lab pact, where the British Labour Party, with just under 50 per cent of UK MPs was supported by the 13 Liberal MPs, who comprised two per cent of the House Of Commons, and this is information about confidence and supply arrangements in general.